I have lived in North Beach for three years but I’m ashamed to say that I have never eaten at my local restaurant Zephyr. After hearing some good reviews I decided it was high time I scoped this place out, and my gosh I'm glad I did. On arrival, we were shown to an outside table, the patio heaters were on and we weren’t the slightest bit cold, even though it was officially winter. The waitress happened to mention that the restaurant is called Zephyr because of its location on Flora Terrace in North Beach. Zephyr is the God of the West Wind and his wife was the Goddess of Flowers, her Roman name being Flora. Chef and owner Lawrence Juracich thought it was an obvious choice of name. Chef Lawrence is third generation Croatian and he specialises in Mediterranean dishes with plenty of care and attention given to each recipe, all made with locally sourced produce. 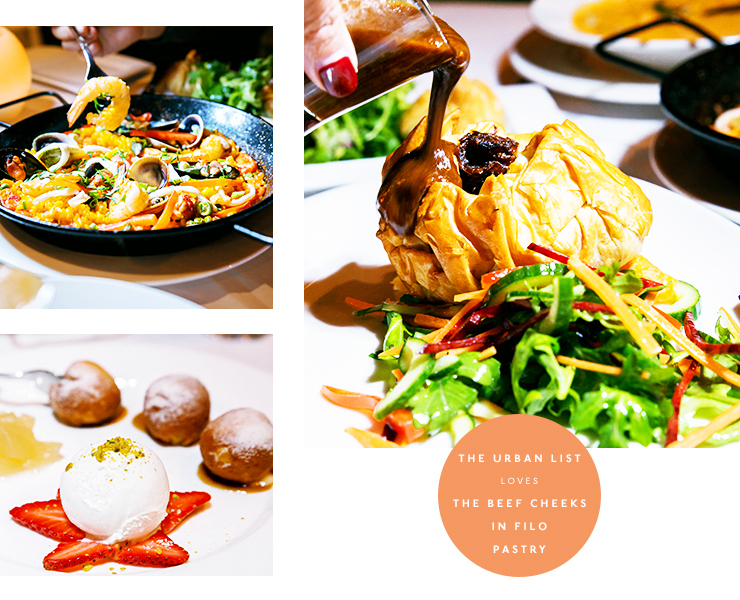 The menu is impressive and choosing just one dish is not an easy task, but the beef cheeks in filo pastry are a good place to start. Matured in the oven for five hours and served on a bed of mash and sweet potato with a delicious sauce that apparently involves chocolate, you'll be scraping every last bit off the plate. The pork belly with crispy crackling and seared scallops is also a winner. Served with fermented veggies, this is where it gets really interesting at Zephyr. A regular diner first introduced Zephyr to fermented veggies, spruiking their many health benefits (research suggests they can even improve memory) and the chef soon introduced them to the menu. What struck me was the simplicity of adding these veggies to my meal—mixed with a dash of pure sea salt and left to ferment for 28 days or more (which gives them maximum probiotic quality and great flavour), who knew they were so easy to make?! There are no additives, no preservatives, no anti-caking agents in the salt, no chemicals of any kind. Not even water is added. One thing’s for sure, they certainly gave a kick to my dish! Chatting to the chef, he mentioned he is happy to cook any dishes and while he has some vegetarian and vegan dishes on the menu, he’ll happily create something from scratch depending on the diner’s specific dietary requirements. What a star! 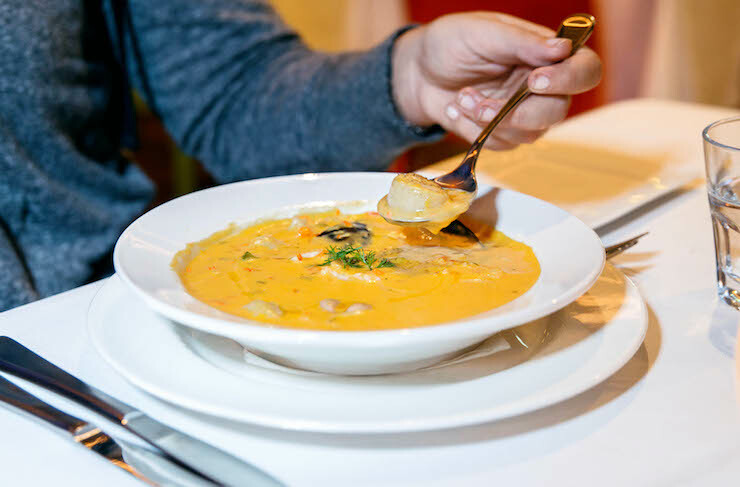 A few other highlights on the menu include the oysters, the char-grilled lamb cutlets and the delicious creamy seafood chowder. There is also a mouth-watering flourless cake and the doughnuts filled with pastry cream and served with apple salsa, butterscotch sauce and the finest vanilla gelato are to die for. I suppose my only problem was that there was too much choice! I've now got a jar of those fermented veggies in my kitchen, I’ll let you know if it does anything for my gut or memory. Now, time for a snack! Originally from Southampton in the UK, Sally moved from one sea-faring city to another, Perth in 2013. Unfortunately, her love of the ocean does not extend to eating fish! She enjoys creative dishes with an unusual twist and while not a vegetarian, she's always keen to explore more adventurous and quirky veggie offerings. Mum to four, she worked for the BBC and ITV for a total of twenty years as a journalist and producer. Outside of work, she enjoys reading and boxercise (don't cross her), and her claim to fame is that growing up, the lead singer of the rock band 'The Cure' was her next door neighbour. She says she taught him how to apply lipstick!